The We Got The Beat Summer Camp exploded onto the scene in June, 2000. With special guest session leaders, the program includes 5 days Improvisation, Ethnic Drumming, Drum Set Sessions and fun, fun, FUN! 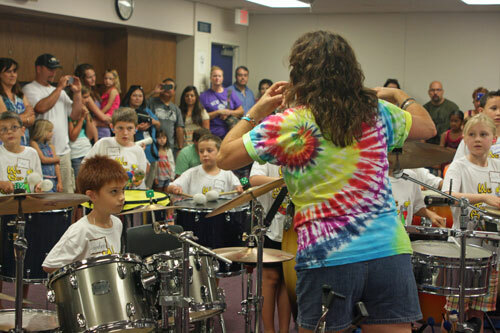 During the 3-hour daily sessions, students learn how to make music using various percussion instruments such as congas, bongos, drum sets, marimbas, vibraphones, xylophones, rain sticks, tambourines, and many, many more. 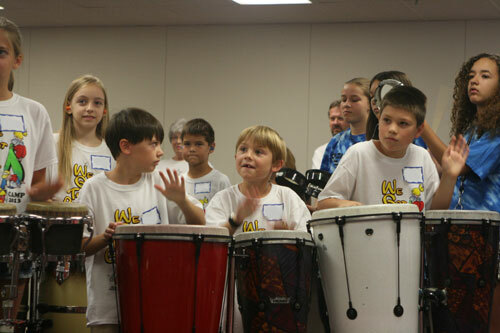 Students learn percussion rhythms with fun phrases, like “Banana Underwear.” First you say it, then you play it! They learn how to play melodies and harmonies, and how to play within a large group. At the end of the week, the kids perform for family and friends, showcasing the skills they have acquired in just one week. You'll be amazed at what you hear!!! No experience is necessary to attend. 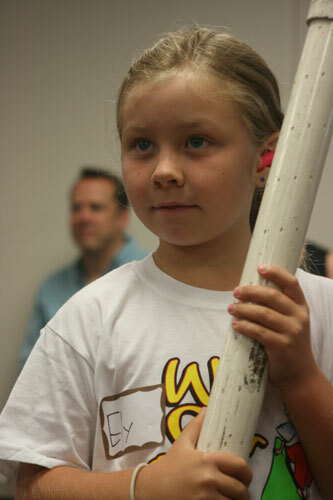 This camp will enhance any previous music training and provide a strong foundation for future music learning. Come and join the fun - we promise you will wish the week would never end. 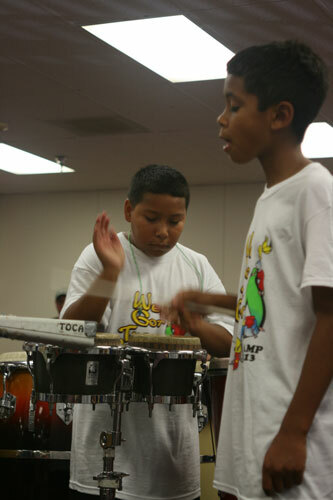 Inspired campers can register for the year-round group, We Got The Beat Youth Percussion Band. 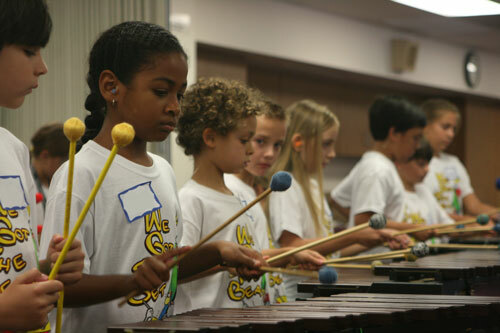 WGTB performs regularly during the school year, for local venues, schools, fairs, carnivals, multi-cultural days, university Days of Percussion, and other special events throughout the state of California. WHAT IS "THE WE GOT THE BEAT WAY"? 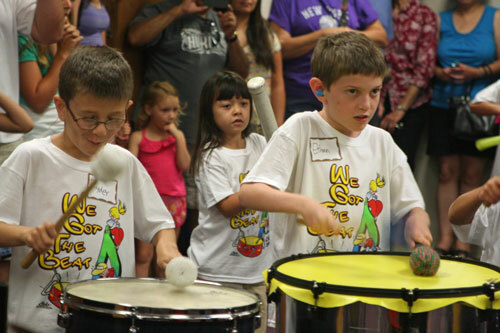 We Got The Beat is a program that teaches students how to play music in a way that is wholly aural and experiential. Reading music is not required nor taught. 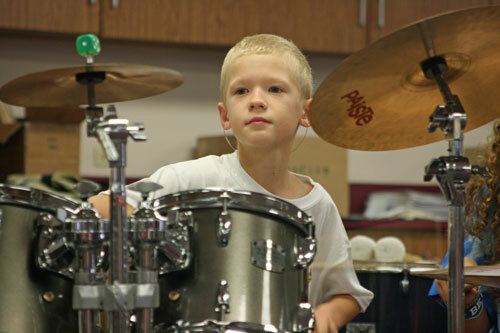 WGTB teaches children the qualities of responsibility, teamwork and cooperation through playing in a band - valuable skills that can be applied well beyond the WGTB experience. WGTB teaches these and other qualities through the study of classic rock, Latin and jazz songs, played on drums and percussion instruments. We Got The Beat also helps build self-confidence through performance, and further encourages individuality & self-expression through improvisation. Thank you for registering for We Got The Beat Youth Summer Camp. Remember! Your registration is not complete until you payment is received. We are going to have so much fun. See you in June!